In their breakthrough book, The Art of War for Managers, business veterans Gerald and Steven Michaelson cite one of history’s greatest military tacticians, Sun Tzu. Drawing from one of Sun Tzu’s famous lines, “…the general who understands war is… the guarantor of the security of the nation,” these business gurus suggest that if you spend time knowing your business well enough, you’ll lead it effectively. The same principle applies to sales presentations. CEOs and sales teams take time to know their businesses and products before pitching. They also have a firm grasp of the public speaking techniques they need to sell. Knowing your tools is the first step to building a selling idea. According to renowned author Jim Aitchison, learning every aspect of your product or service lets you explain its features correctly. It also helps you outline the benefits your prospects are interested in. What benefits does it give to clients? What situations can they use it in? These should lead to what clients need to know, more specifically: how the product or service help their business. Once you know how your business and products work, rehearse. There is no shortcut. As brand communications expert, Carmine Gallo, says, even some professional presenters spend several weeks rehearsing for a single pitch. They also take note of what works and what doesn’t so they can improve their public speaking. Professional presenters deliberately practice until they get their pitch just right, almost as if their work was effortless. Learn how to use the techniques and tools at your disposal before entering the boardroom to give yourself an immense advantage over others. Once you know everything about your product or service and have spent hours rehearsing your speech, it’s time to prepare your third and most crucial component: your PowerPoint deck. Your deck is not a script, but it’s there to help your audience visualize what you have to say, so keep it as simple and understandable as possible. 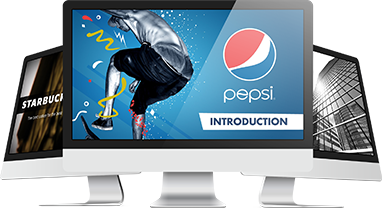 You can even hire professional PowerPoint specialists to help you design a deck that effectively sells your pitch. Presentation skills and techniques are acquired over time. Some spend hours practicing to gain them, while others have built them up over their careers. The same thing goes for knowing your business well enough to sell it. Know every aspect of your product first. There’s nothing to pitch if you don’t understand your own offering. Rehearse until you master your tone, gestures, and timing. All the information you have is useless if you can’t deliver it clearly. Finally, make your deck simple but packed with meaningful content. Don’t use them as your cue cards. Instead, use them to emphasize what you want to say. With enough practice, you’ll know how to best persuade a crowd by combining all these factors into a great sales presentation. Aitchison, J. Cutting Edge Advertising: How to Create the World’s Best Print for Brands in the 21st Century. Singapore, New York: Prentice Hall, 2004. Gallo, C. The Presentation Secrets of Steve Jobs: How to be Insanely Great in Front of Any Audience. New York: McGraw-Hill. 2010. “Knowing Your Products and Services.” Queensland Government. Accessed June 15, 2015. Michaelson, G., and Steven Michaelson. Sun Tzu: The Art of War for Managers: 50 Strategic Rules Updated for Today’s Business. 2nd ed. Avon, Mass. : Adams Media. 2010. “The Secret to an Effective Sales Presentation Rehearsal.” SlideGenius, Inc. 2015. Accessed June 15, 2015.